Giovanni Delise was born in Trieste on 7 May 1954. In April 1980 he was hired as a technical employee of IV level at the technical office of ‘Italcantieri of Trieste (today Fincantieri) being assigned to the Naval Installation Office (marinareschi facilities). He graduated in architecture in November 1988 and obtained the qualification to practice as an architect. In January 1989 he was transferred, within the technical office of Fincantieri, to the furniture office where he supervised all the various design activities (construction and architectural arrangement of the cabins and public rooms, service spaces, spaces open, etc.) and in particular those relating to the design of the ship with reference to safety standards. 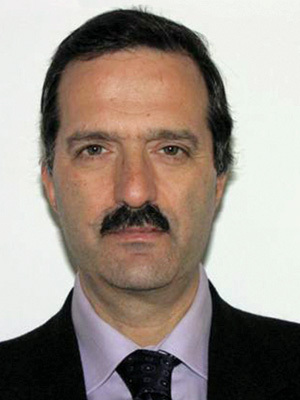 Since 1996 he has been constantly involved in the work of the Fire Protection (FP) technical sub-committees at the International Maritime Organization (IMO) in London as a technical consultant of the Italian Administration, collaborating in the production and drafting of international regulations for the safety against fire. Since the end of 2002 he has been assigned to the technical security office (MC-SIR), where he oversees the application of safety regulations – in particular anti-fire regulations – in the design and construction of passenger ships, with particular responsibility in the relations with the Classified Entities, with the Flag Administrations and with the US/the American Coast Guard. In 2009, he became chairman of the sub-committee UNI – naval plants, security and fire protection and rescue equipment (CT030 / SC1), role that he still covers today. On behalf of this body he constantly participates in the work of the ISO (the International Organization for Standardization), within the TC8 / SC1 Fire Protection & Life-saving subcommittee (fire protection and rescue means) actively collaborating in the production and drafting of standards in the naval field. In 2005 he was promoted to head of the Fincantieri Safety Office (MC-SIR) and in 2008 he was appointed manager. Since December 2013, he has been directly employed by the director of the technical office as a referent for the application of safety standards in the basic and functional design, while maintaining unaltered his responsibilities and skills. From August 2016 he gives the same professional services as part of the Basic Design Service (MC-PBR). Currently (2018), in addition to the company supervision – which is transversal to the various services – related to the implementation of safety regulations, he maintains its responsibilities and competences regarding the relations and interactions with the Flag Administrations, with the Classification Bodies and with the US Coast Guard. In 2017 he was awarded with the Stella al Merito del Lavoro.